Bright cloudy skies made for a great aerial shot of these pump jacks in motion out on the Permian Basin oil fields. 4k00:15aerial shot of oil and gas pump jacks in operation on a bright cloudy afternoon. 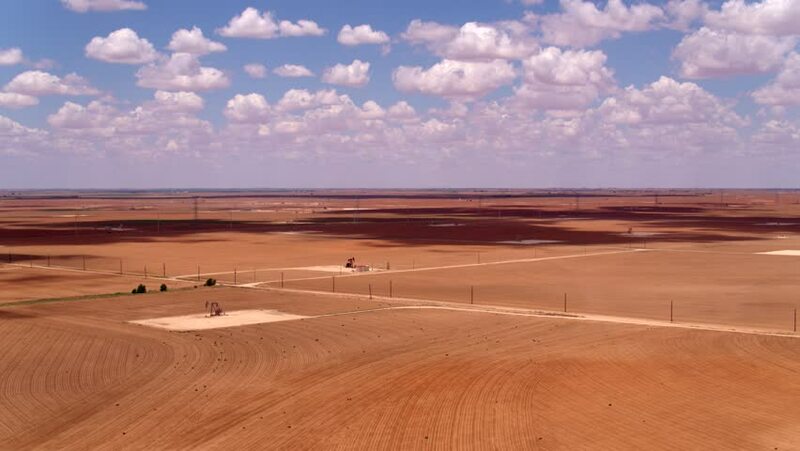 The landscape of the Permian Basin oilfields is vast and flat as seen from this aerial view. 4k00:21An incredible bird`s eye view of a huge wheat filed. The drone is flying towards a working combine drawing a trailer with golden straw. hd00:28Aerial view of farmer in old fashioned tractor sowing. 4k00:13Aerial view of golden fields with brown mold close to Sejerøbugten in Odsherred.